It hasn’t been long that Honda unveiled its Fit, marking presence of company in subcompact five-door automobiles. 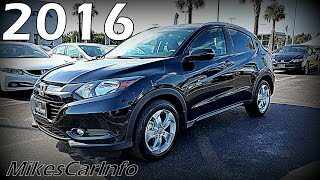 The model has been making commendable entity since its launch, and here we are with the company taking curtains off its new crossover Honda HR-V 2016. Making debut at the Los Angeles Auto Show 2014, model has looks that will take the gleam while you are riding it down the lane. 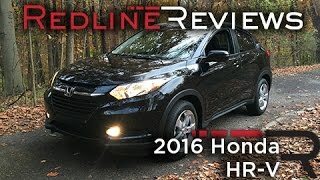 Let us have a closer look at the review of Honda HR-V 2016 to know more about its specifications, features and performance figures. The interior of Honda HR-V 2016 is bit of an amalgamation of CR-V and Fit, in terms of styling. The driver side of the dashboard consists of a newly designed three-spoke steering wheel and an instrument cluster while the passenger side gets more attractive with its new look. Center stack too gets some work and comes adorned with a new look however the infotainment system carries resemblances with the CR-V. The interior is very much a mix of hard plastic and soft touch materials which further add to the essence by the sophisticated stitch lines and piano and chrome black inserts. 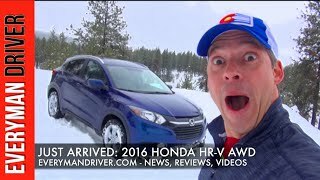 In all rounding up the interior details of Honda HR-V 2016 I would say it has all to be your regular drive. Just the interior detail, the exterior of Honda HR-V 2016 is also a blend of Fit and CR-V. Starting with the front fascia the crossover has larger resemblance with its bulky sibling and this includes the sharp headlamps, grilled and the bumper that comes integrated with the fog lamps on both its sides. While moving towards the rear it features a sleek, sporty and tough look which makes it more attractive. The wheel arches has black lining over those well covered wheels and the side sills, may be to provide the lower body a bit of protection but the same integration also add to the looks. 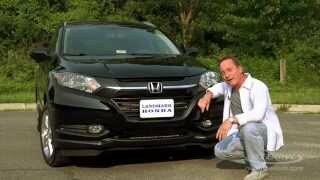 The rear fascia is Honda HR-V 2016 is of its own. Taking a leap ahead of its both the siblings the back end doesn’t shares enough details from any of the Honda model. 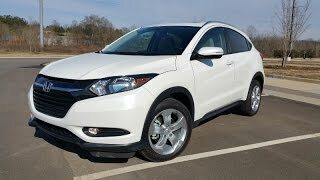 Rounding up the exterior of Honda HR-V 2016 I would say all the three available trims; LX, EX, and EX-L look stunning rolling over their aluminum alloy wheels. Beneath the hood of Honda HR-V 2016 is a 1.8 liter SOHC 16-valve 4-cylinder engine cranking total output of 138 hp and peak torque of 172 nm mated to CVT/six-speed manual transmission, the latter being available only for two-wheel drive models. Though the performance figures of Honda HR-V 2016 are not yet shared but we assure you to bring into your ‘Diesel Diary’ as soon as company unveils them.